Gotta love Facebook! I’ve recently reunited, on FB, with my garage band buddies from junior high school. 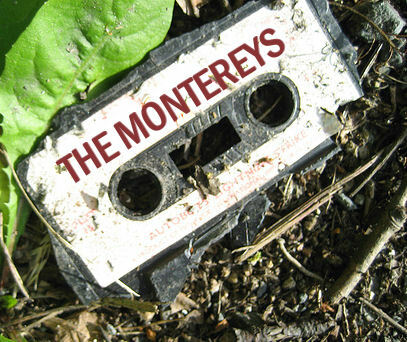 Here’s my rendition of a Gene Clark (The Byrds) tune that we loved back then… and still do! I’ve loved the sounds of 1960’s recordings since the days I first heard them. Most were accomplished by the application of great recording technique and- less so- the application of technology. Today, the consumer musician market is awash with killer gear that earlier musicians only dreamed of. One resourceful amateur guitarist from Virginia, Steve Lasko, spent much time trying to assemble equipment that could produce the great, chiming guitar sounds he heard as a young person in the 60’s. Frustrated, he commissioned audio engineers to develop the electronic circuitry needed to emulate the sound. The result is the JangleBox Compressor (the black box in the center of photograph): www.janglebox.com . Available for several years, the JangleBox has gained a loyal following of pro and amateur guitarists, particularly, those who, like me, play electric 12 string guitar. This song made heavy use of the Janglebox The JangleBox web site has a library of sound clips as well. I was channel surfing early this year and stumbled across an installment of “From The Artist’s Den” on Ovation TV. It’s a one-hour music performance program and this particular episode featured Scottish pop singer songwriter, KT Tunstall. After that hour, I was hooked, bigtime. Such a refreshing talent and performer. KT (actual name, ‘Kate’) had hung out with Scottish folk musicians and coffee house singers/writers for a full 10 years before hitting it big during a performance on the British TV program, “Later With Jools Holland”. She performed a live version of her soon-to-be hit, Black Horse and The Cherry Tree. Her live performance gear includes a loop/sampler pedal, an AKAI Headrush E2. The YouTube video, below, is just one of a number of performances of Black Horse and The Cherry Tree on YouTube. 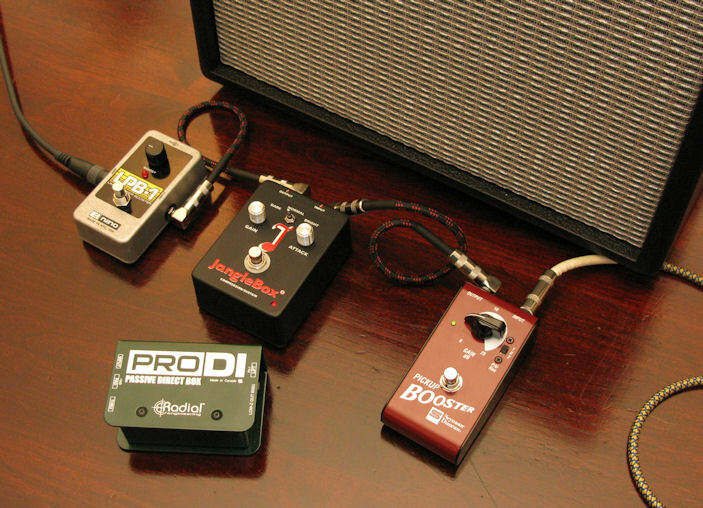 I chose it because it best illustrates what the loop pedal does and how it’s operated. Pay close attention and you’ll note that KT loops (and then overdubs) 2, four-beat music measures. You can beat-count along with her as she builds up the backing rhythm: 1 (simultaneously depressing the record button on the count of ‘one’), 2,3,4,5,6,7,8,1 (simultaneously pressing the stop recording button on count of ‘one’). Some loop snippets to listen to. To my ear, a loop built by real instruments (guitar percussives and muted scratchings, tambourine, triangle, hand claps etc.) and vocal ornaments has a more organic/authentic feel when compared to a rhythm created with a computerized drum machine. Just an opinion. What Might a Home Studio Look Like? 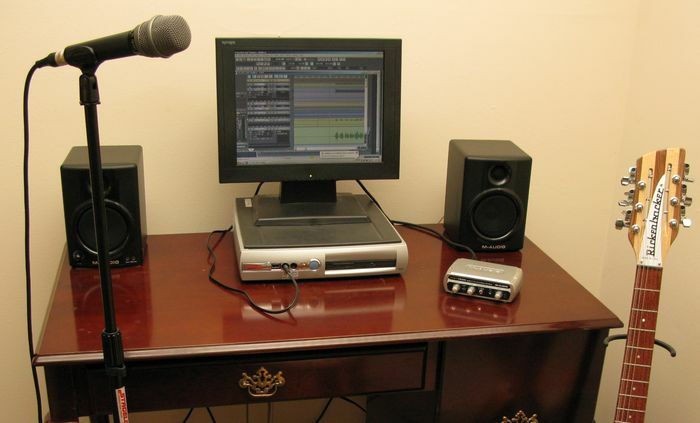 Previous posts have described a suitable computer, a good audio software program and a USB audio interface box. Microphone choice is a broad subject area. Everyone seems to have their own preferences for model and brand. For the home studio I’ve been describing, I’m going to give just a personal opinion: a dynamic cardioid-pattern microphone with a XLR connector cable priced from $50.00 to $100.00. I’m familiar with (and can generally recommend) the offerings of: Shure, Electro-Voice and Samson. So, if you’re so inclined, gather together your gear and clear out a corner in your world. Be sure your corner has a wall outlet nearby. Connect it all up and get to it! Here’s a larger image . 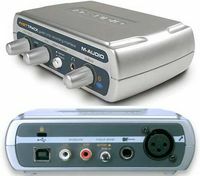 The most cost-effective way I know to get good quality audio signals into the computer (and into the audio recording program) is via a USB recording interface box. 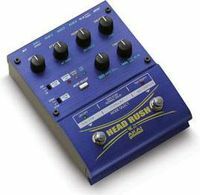 The box that has worked well for me is the M-AUDIO Fast Track guitar/microphone recording interface. The front of the box has an adjustable microphone input level (with small signal and peak indicator lights), a mixer control (between recorded sound and new, incoming audio), a 1/8″ headphone jack and a headphone level control. The rear of the interface (left to right) provides for USB connection, RCA stereo outputs, an input gain selector coupled to a 1/4″ phone jack (for guitar or line level source) and, finally, an XLR input for microphone. We’re talkin’ bare-bones, no frills audio interface with this little unit. M-AUDIO and other manufacturers have costlier units with varying numbers of multiple inputs and greater sophistication. As I recall, street price for this Fast Track interface is $50-$75. How Much Computer is Enough Computer? Rather stone age, huh? Well, keep in mind that the Sonar LE audio software is not a memory hog and neither is the M-AUDIO Fast Track USB interface box. And, please, be cautioned about the OS. This is not Windows Vista. This is WindowsXP Professional. I’m not a computer expert, but the OS may make all the difference between a setup that lets you make music recordings and one that could drive you to distraction. Back in late 2006, my niece and her dad went shopping at BestBuy for audio recording software to run on the computer she shared at home with her sister. They found a ‘bundled’ package which included a USB audio interface box and recording software. Everything installed fine. 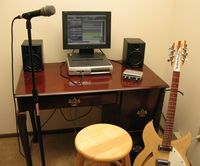 She actually recorded a few songs until it became abruptly apparent that the home computer was seriously underpowered. Following some deliberation, her mom and dad decided that it was probably time for the girls to have a new, upgraded computer. What followed was to be a slow and agonizing march through the depths of ‘incompatibility hell’. The new machine came preloaded with the Windows Vista operating system. I’m no techie, but, I’ve come to believe that the world of home recording was turned on its head by the introduction of Vista. And not for the better. There is nothing ‘plug-and-play’ about audio recording in the home. If you don’t experience problems with the software, you’ll experience difficulty with the operating system. If not the OS, them you’ll face challenges in trying to get the audio interface (an add-on card or a freestanding interface box) to perform properly. I’m using Cakewalk‘s Sonar LE (version 4.0.1) software running under Windows XP Professional on a modestly-powered Intel machine. And, although I , too, had to wrestle with device settings and other oddities, the system does work. That’s to say, if my recordings are offensive to your ears, it’s not the fault of hardware or software. It’s me! 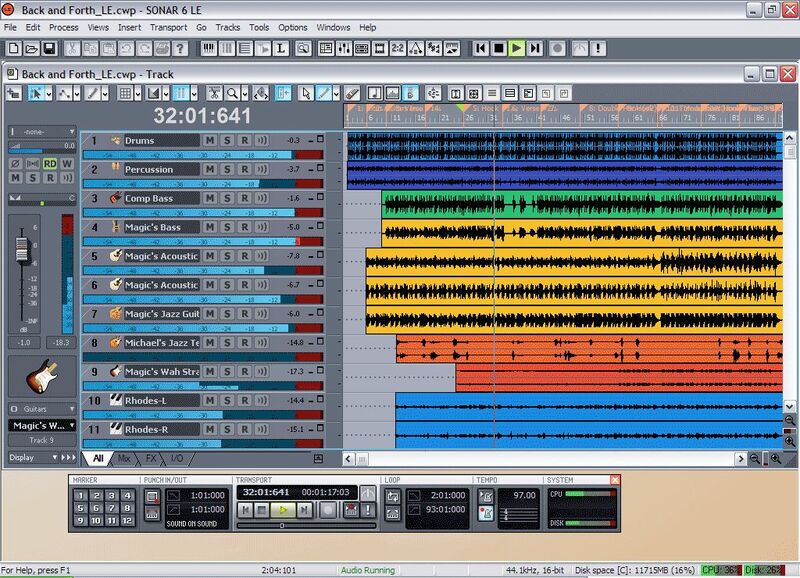 Sonar LE is ‘OEM Software’… a slimmed down version of Cakewalk’s Sonar series of pro/semi-pro audio software that is ‘bundled’ with another manufacturer’s product (a microphone, or an audio mixer, or a USB interface product). Were you to walk into BestBuy, you would be looking for Cakewalk’s consumer program, Music Creator. Feature-for-feature Music Creator ranks right along side Sonar LE. 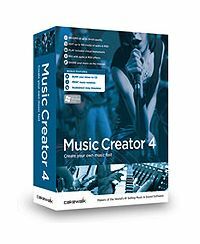 I’m seeing Music Creator 4 selling for $29.00/$39.00. For the curious, you can click here to see a large view of a Sonar LE screen.